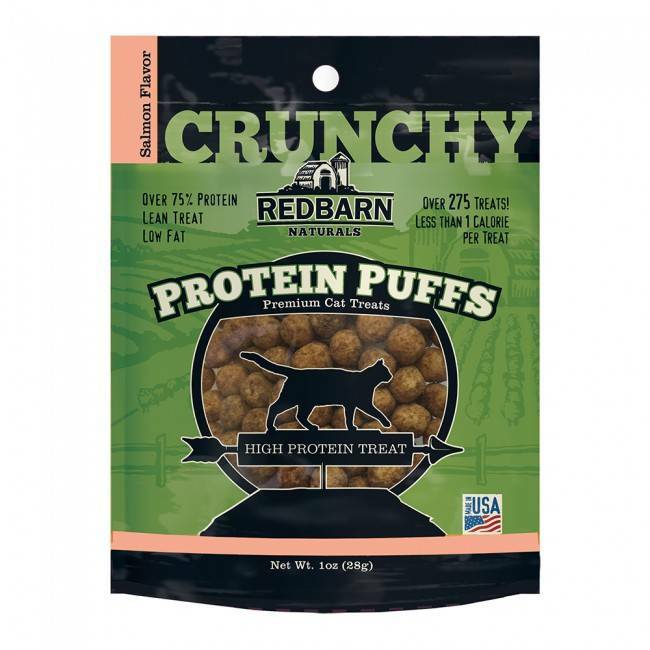 Redbarn's Protein Puffs are loaded with a milk-based protein derived from human-grade caseinate commonly used in health supplements, snacks, protein bars, and diet products. After several rounds of testing, we came up with three sugar-free flavors for cats. We deliver unique combinations of protein and natural ingredients while baking them without artificial preservatives, flavors, or colorings. Not to mention, the texture of our protein puffs is crispy and airy - you will hear the delight your cats experience after every bite.